3D Printing is a set of technologies which operate on similar principles of additive manufacturing, i.e., building object layer by layer. Multiple technologies have emerged over the years such as FDM, SLA, DLP, SLS, DMLS, Rotational 3D printing, Cold Spray AM, and many more. All these technologies offer different solutions for different applications and are currently at various levels of technological developments and acceptance. Let us look at one such technology called Binder Jetting. 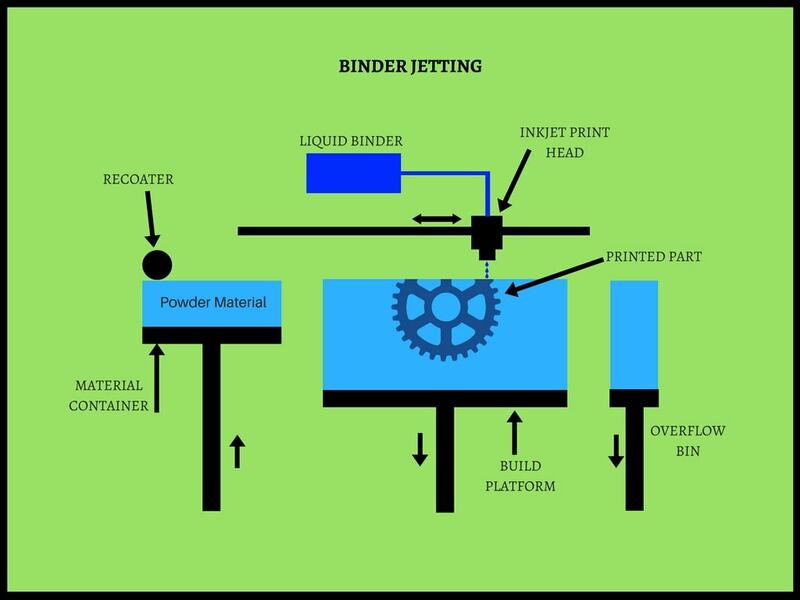 The binder jetting 3D printing process closely resembles the operations of regular inkjet printers however in a three-dimensional spectrum. This article focusses on the working of the Binder Jetting technology. Binder jetting was invented at Massachusetts Institute of Technology (MIT) and licensed to Z-Corp in 1995. 3D Systems acquired Z-Corp in 2012. The binder jetting technique can print objects in full colour and is compatible with a wide range of materials however the most commonly used materials are metals, ceramic & sand in a powdered form. It is most suitable for building large parts with relative ease. The manufacturing cost is less compared to other 3D printing techniques. 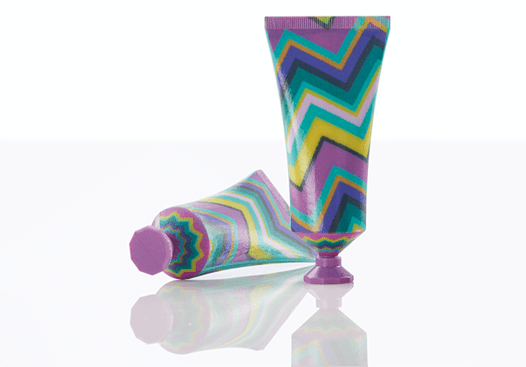 Material Container: This container holds the powdered material from which the object will be printed. Build Platform: This is the active chamber where the printing process occurs and holds the powdered material for each layer of printing. Recoater: It performs a similar function to the recoater used in SLS and DMLS 3D printers. After each layer of printing, the recoater spreads one layer worth of the powdered material onto the build platform. Inkjet Printhead: This printhead selectively deposits the binding agent used to fuse particles together to form a strong bond between adjacent particles and eventually form the complete object. Overflow bin: This holds the excess powder during the recoating process. The process starts with the recoater spreading one layer worth of powder on the build platform. The spreading is even and any amount of excess powder, if any, is spread onto the overflow bin. On completion of this step, a carriage with inkjet printhead starts selectively depositing drops of the liquid binding agent (glue) onto the powdered material so that the adjacent particles bond together. The drop of binding agent is approximately 80 microns in diameter. In case of full-colour binder jetting, a coloured ink is deposited and hence the final part gets the colour of the ink. Once the ink is deposited for the layer the inkjet printhead moves away for getting the nozzle cleaned. The build platform drops down to one layer height and the recoater recoats the build platform with the powder and the process continues. This process of recoating and ink deposition continues until the complete object is printed. When the printing stops, the part is kept in the powder for some time for curing. This helps the part to improve its strength. After this, the unused powder is sucked with a cleaner and the part is removed and cleaned with pressurised air. The final state of the binder jetting part is called as ‘Green’ state where the part is highly brittle and porous. Depending on the material of the part, the part is post-processed for increasing its strength. Metal binder jetted parts have to be heat treated or infiltrated with a low-melting-temperature metal, whereas sandstone parts are infiltrated with acrylic. Sand parts do not need any post-processing and are generally ready to use. Also Read: How Selective Laser Sintering Works? The layer height is 50 microns for metal parts, 100 microns for full-colour parts and 200-400 microns for sand material. Full-colour binder jetting is carried out with sandstone material. A full colour 3D printing uses to printheads. The first printhead contains the binding agent while the second printhead jets a coloured ink. A huge combination of colours can be achieved by combining different colours. Binder jetting is most suitable for producing large prints, full-colour products like figurines, sand casting moulds & cores and manufacturing low-cost metal parts. Binder jetting occurs at room temperatures as a result is eliminates warping or curling problems. This technology also eliminates the need for support structures. Check out our 3D Printing Info page for more information on 3D printing. Additively Manufactured Load Bearing Lattice Structures in Orthopaedic Implants to improve Patient Outcomes?